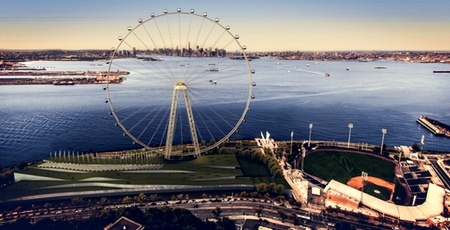 Back to the future: Mayor Bloomberg announces the world's tallest ferris wheel to be built for Staten Island. The Party to Save the Village 'from pipelines, radon, fracking and other total insanity!' benefits the Sane Energy Project Legal Fund and Occupy the Pipeline, October 3, 6:30pm, LGBT Center, $15. Do you want Brooklyn-made, artisanal mayonnaise? If we're talking the enticing flavors of Sam Mason's Empire Mayonnaise Co., absolutely. Last day of Kidini, the fall/winter sale of designer duds for kids, with savings up to 80%, 379 Broome [Mulberry/Mott] 8:30am-6pm. Elegantissima, design and typography of the great Louise Fili, is out now. Lee Angel, 524 Bway [Spring] jewelry sample sale, with goods at least 70% off: 10/3-10/4, 11-7, 10/5, 10-5. Vimbly is a site where you can book activities from dancing to cooking, crafts, and more. In beta. Some of the big events this weekend—DUMBO Arts Fest, Atlantic Antic, Maker Faire—you probably already know about; check out the skint, below, for alternative picks. fri 7:30pm: documentary the rink explores the story of branch brook park roller rink, one of the last urban rinks, and how the residents of struggling newark, nj use it. followed by q+a with director sarah friedland, writer ryan joseph, and visual artist jerry grant. dctv (87 lafayette st), $10. fri-sun: the seventh annual new york art book fair features 200+ vendors of art-related books, monographs, periodicals, and zines, plus artist-led workshops, readings, signings, screenings, more. 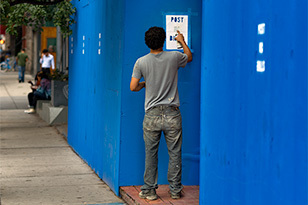 moma ps1, free. sun 12-3pm: show-off your best sweet or savory homemade pie at bubby's 9th annual (and final) pie social. admission gets you 5 tasting tickets and all proceeds benefit nyc public schools. $10 + a pie for bakers, $25 for eaters.